Did you know you could use WordPress to set up a full fledged ecommerce site? With WooCommerce you can, and my latest lynda.com course, WordPress Ecommerce: WooCommerce shows you how. 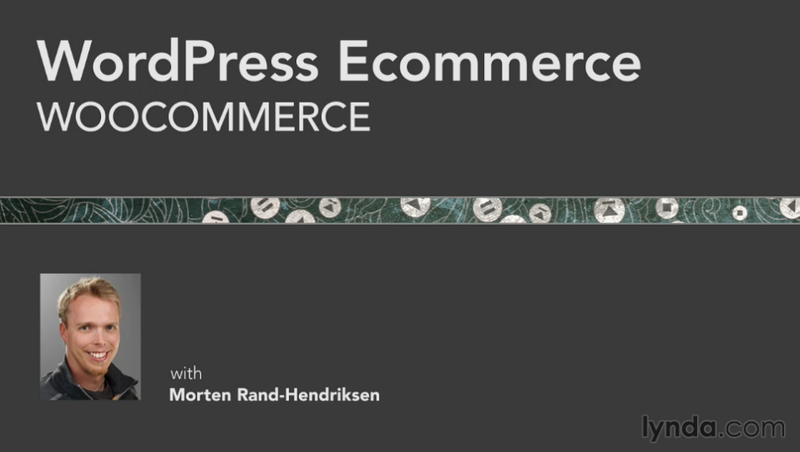 Ecommerce in WordPress has long been at the top of my list of new courses to make at lynda.com and the release of this course along with the precursor WordPress Ecommerce: Core Concepts make this a reality. Want a simple way to make an ecommerce site that is easy to use, robust, and has almost endless opportunities for expansions? Look no further than WordPress Ecommerce: WooCommerce. And remember to watch the WordPress Ecommerce: Core Concepts course first to get a clear picture of what is required and what decisions you have to make before embarking on this adventure. If you are looking to sell digital products and services only, check out WordPress Ecommerce: Easy Digital Downloads as well. Thanks for the great course. I look forward to checking it out. I have to second Samir’s comment about hoping for a course on plugin development from you. I am a windows developer trying to get my head around development on wordpress. I’m finding that all the information is out there, scattered in bits & pieces, but it’s difficult to find a good source with a more focus. We already have a plugin development course in the library, but that doesn’t mean no new courses are in the works. I tried your course WordPress Essentials and it was not up to date. I couldn’t follow the course. Are you updating this course? It list Dec. 18th, 2012 date. I am using Windows 7 and IE10. I assume you are talking about the WordPress.com Essential Training course? The WordPress Essential Training course is up to date. We are waiting for the full release of the new 3.6 features before updating WordPress.com Essential Training. That said the overall functionality of WordPress.com is the same as it was before. The only major change is the user interface on the front end part.